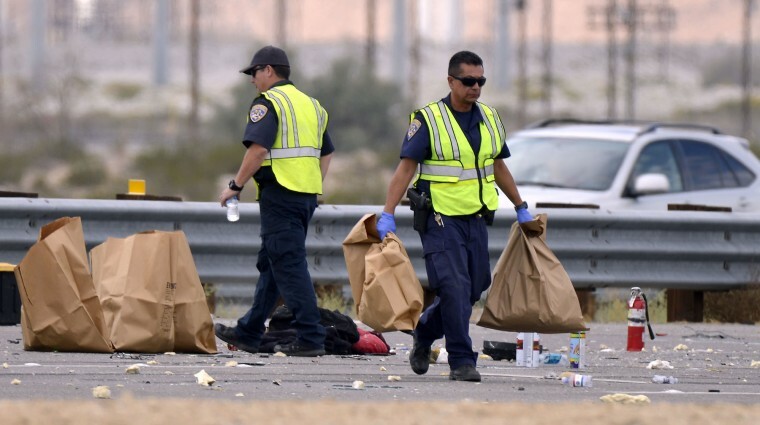 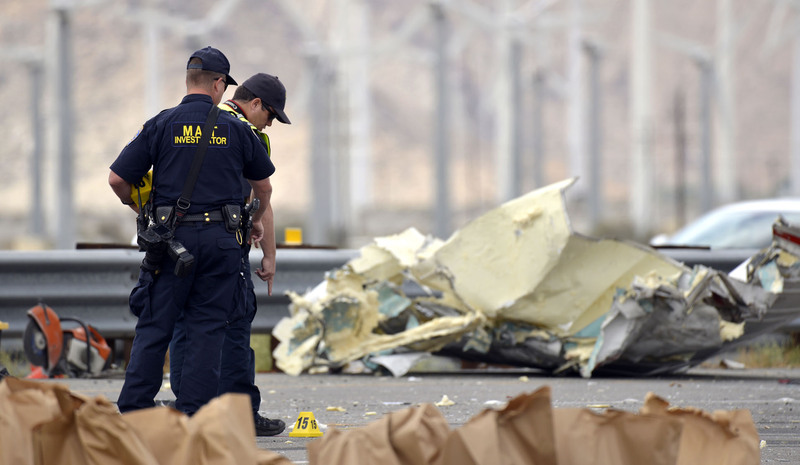 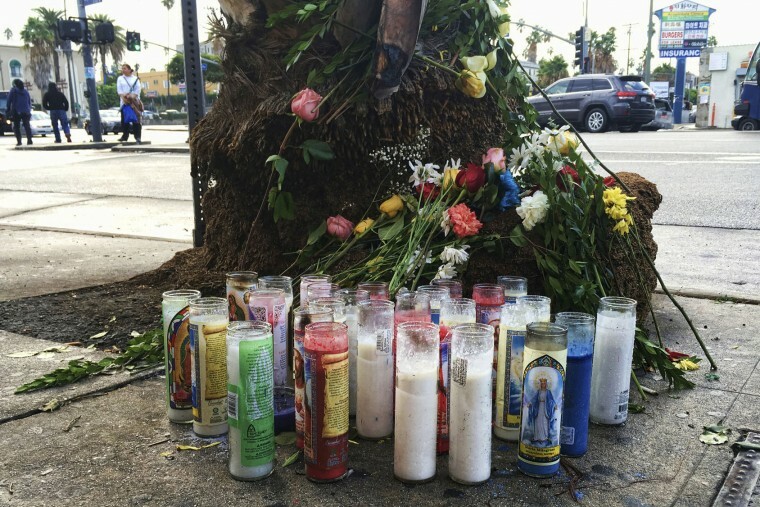 DESERT HOT SPRINGS, Calif. (AP) — Authorities say a maintenance crew was working on a California highway and slowing down traffic when a tour bus plowed into the back of a semi-truck early Sunday, killing 13 people. 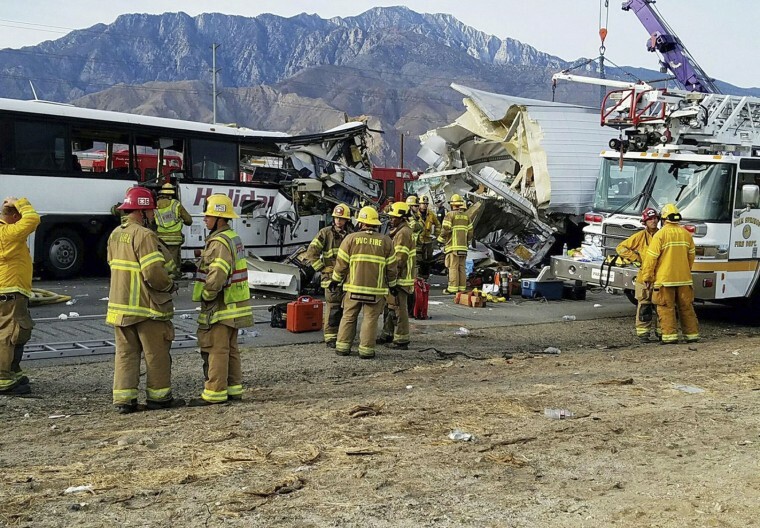 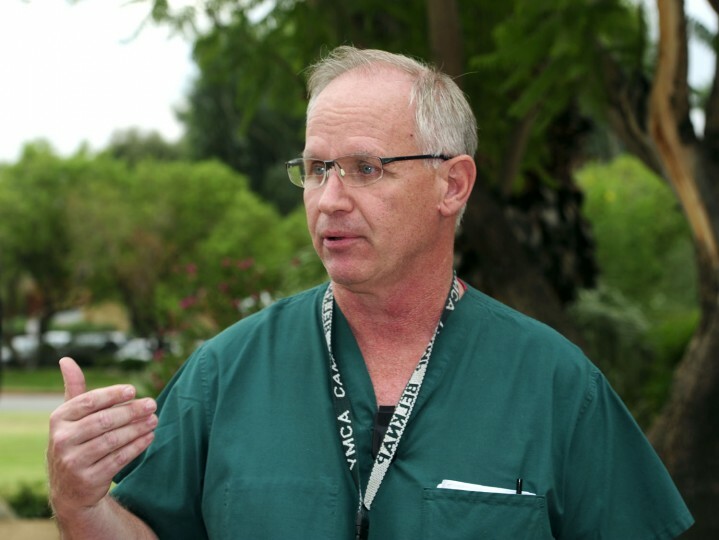 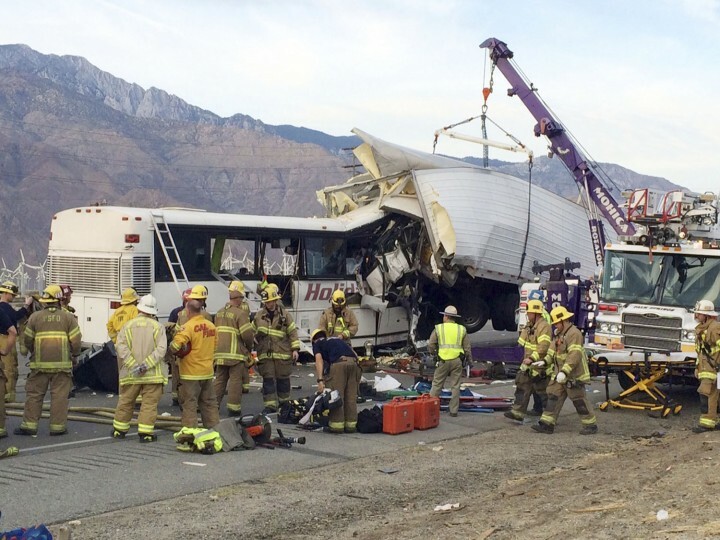 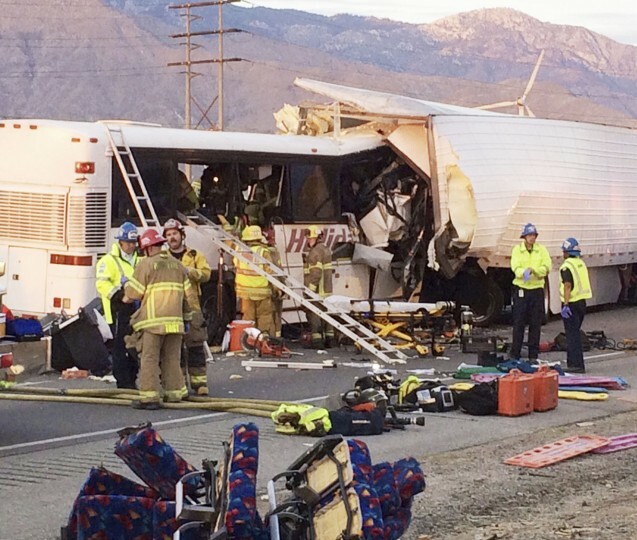 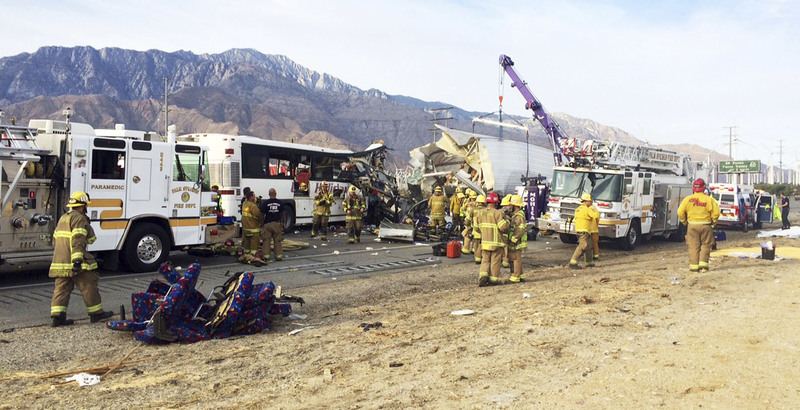 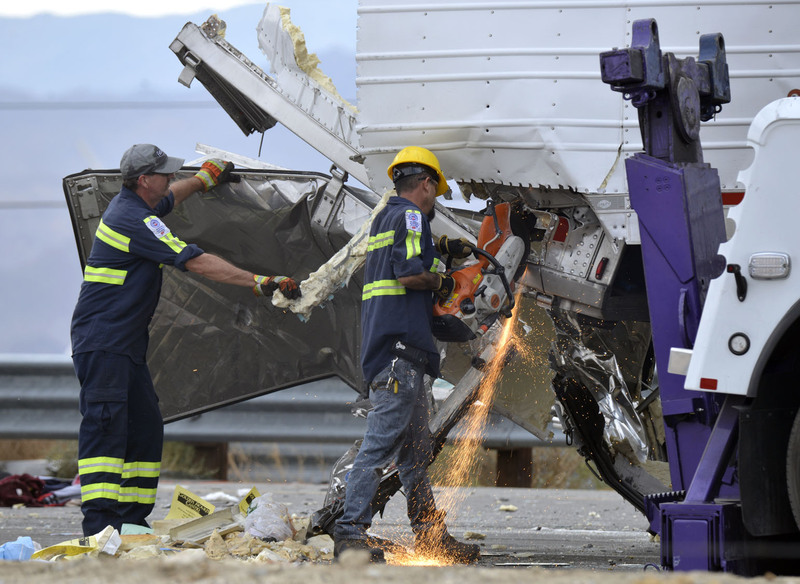 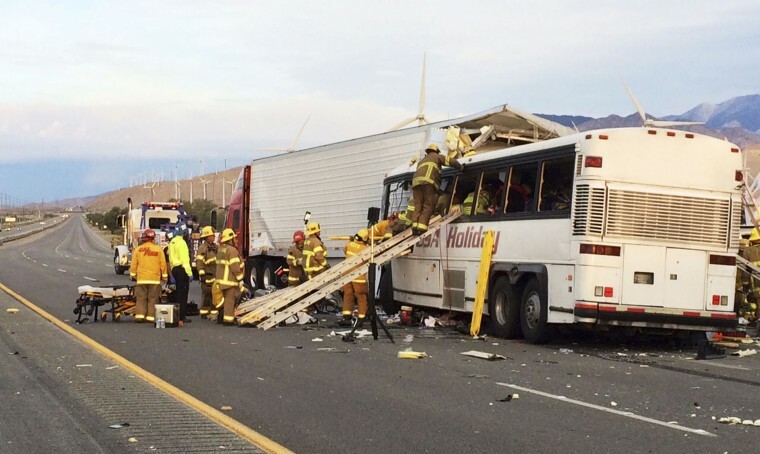 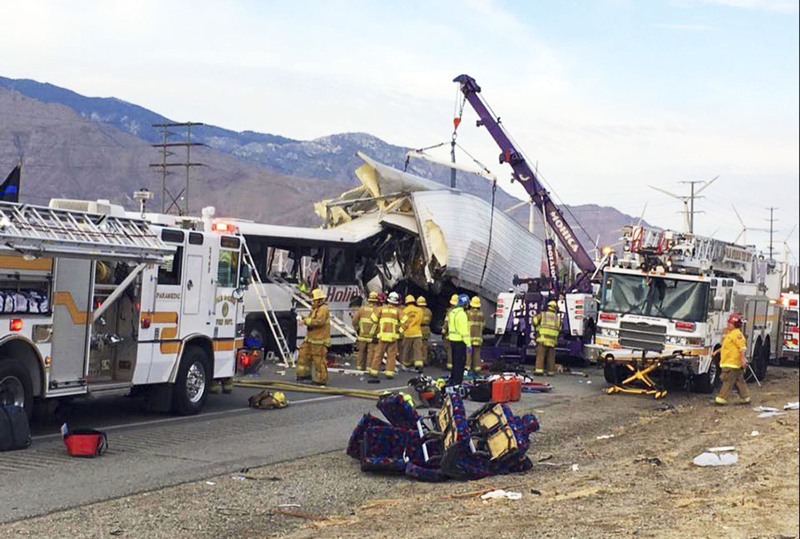 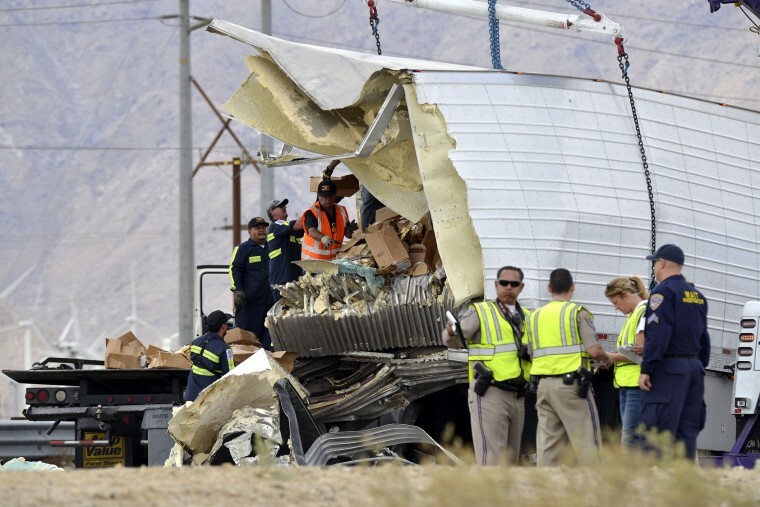 California Highway Patrol Border Division Chief Jim Abele says the cause of the accident isn’t clear but that the bus carrying 44 passengers was going significantly faster than the truck when they crashed before dawn Sunday north of Palm Springs. 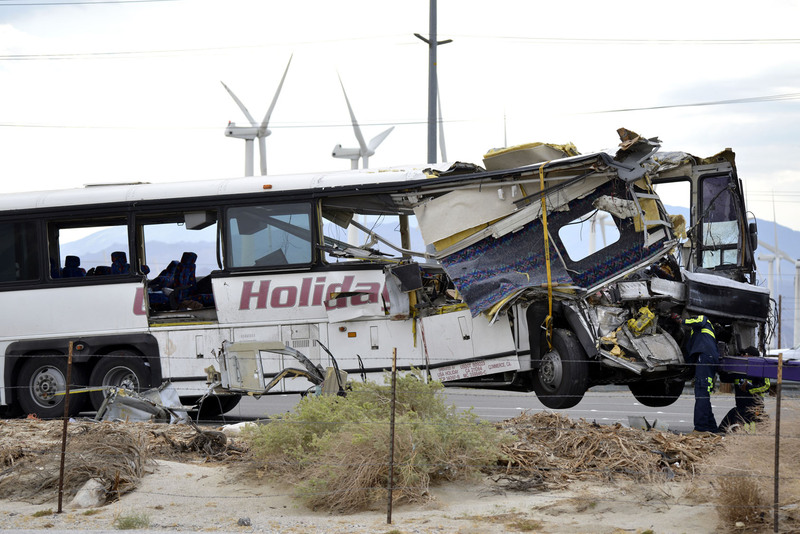 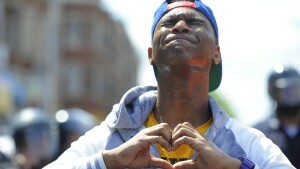 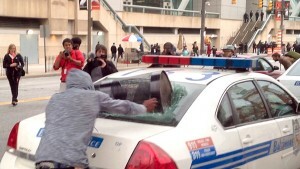 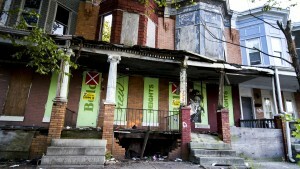 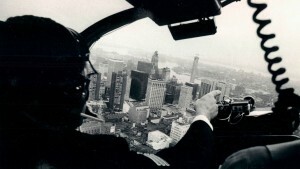 An additional 31 people were injured. 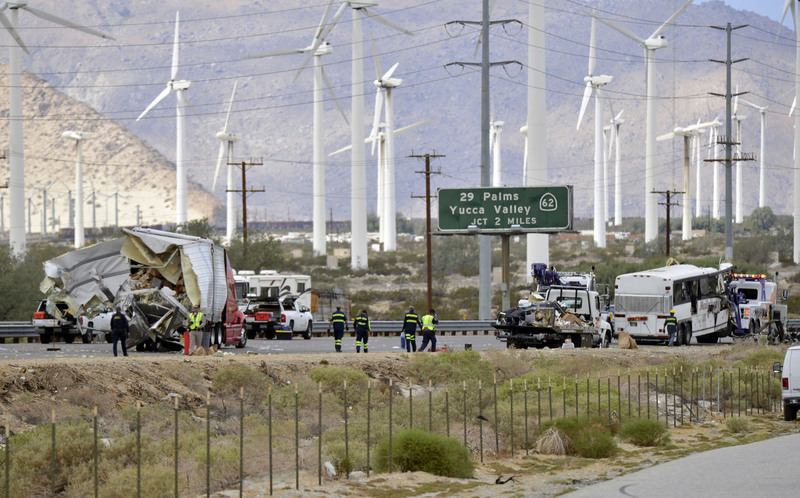 CHP officers had been slowing traffic to allow Southern California Edison workers to string wires across Interstate 10. 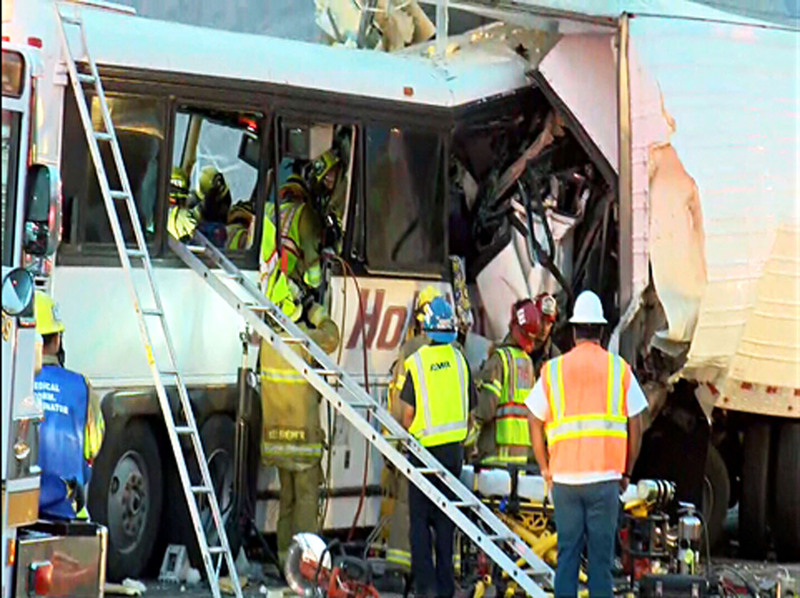 Abele says the work had gone on for hours without problems. 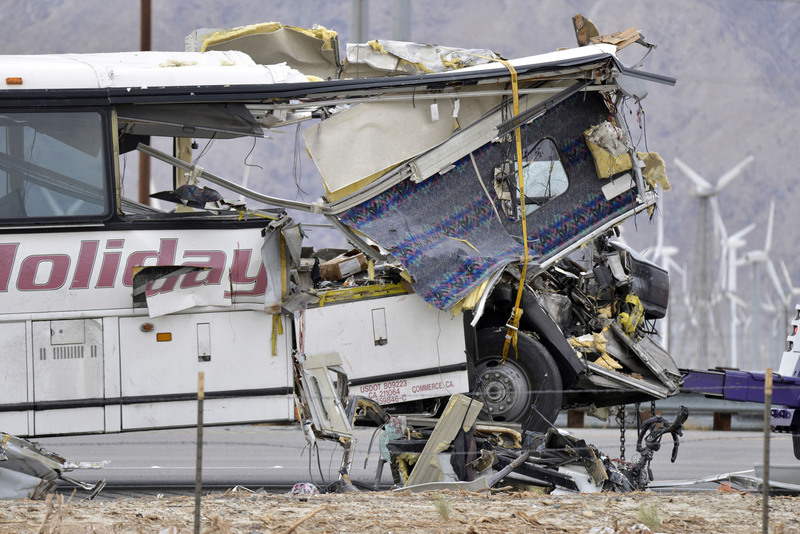 Abele says the bus was coming from Red Earth Casino in Thermal, California, and was about 35 miles into its 135-mile trip back to Los Angeles.